If you have a business presentation to make, make this one. 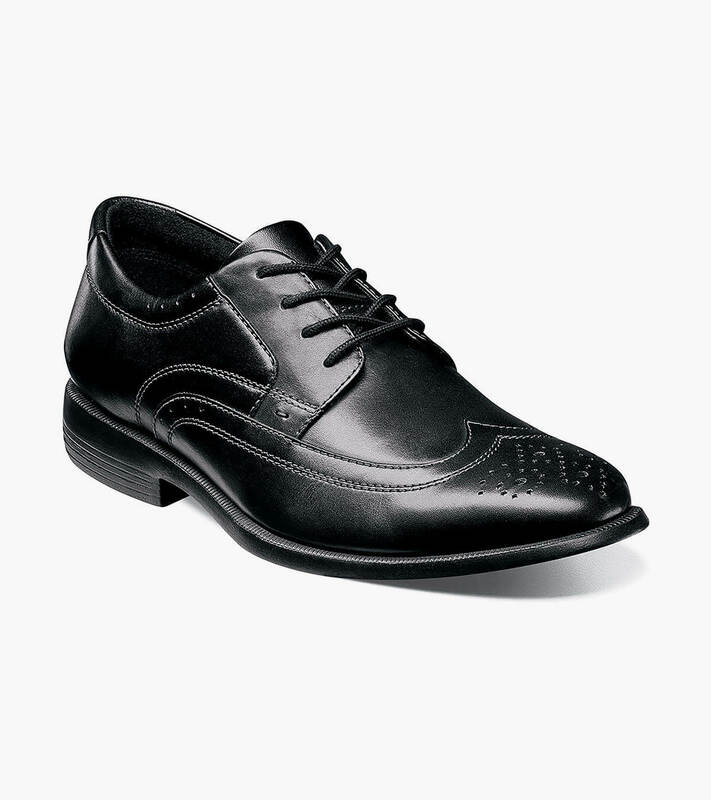 The Nunn Bush Decker Wingtip Oxford stands out for its intricate brogueing and modern profile while the lightweight comfort construction properties make it a great all-day business partner. Our KORE technology is biomechanically designed for walking. As it propels you forward, the sole of the shoe is designed to support and cushion your every step. The midsole is created from a lightweight walkable EVA and provides athletic inspired comfort and shock absorption. Combined with an aggressive rolling impact zone of the heel, these shoes are made for walking.